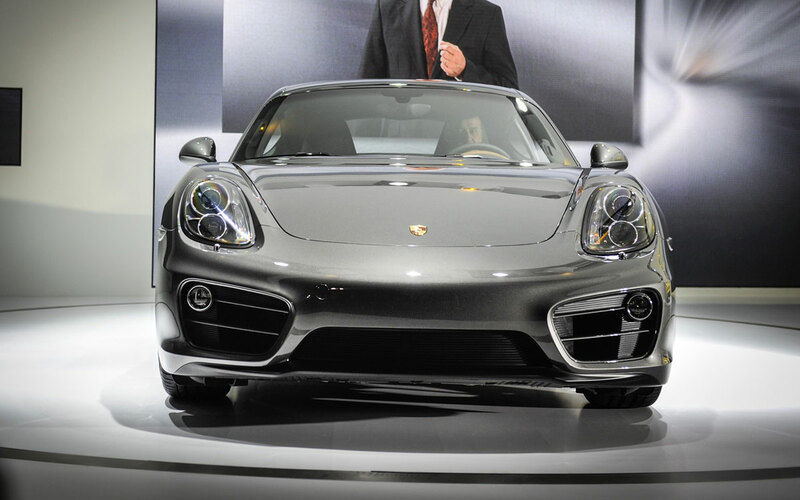 2013 Porsche Cayman that makes its debut at the 2012 Los Angeles auto show, will go on sale in the U.S. next spring. Based on on the latest-generation Boxster convertible, the new Porsche Cayman is more powerful, more efficient, and more expensive than the outgoing version: the base Cayman will start at $53,550 (including a $950 destination charge), and the Cayman S starts at $64,750. 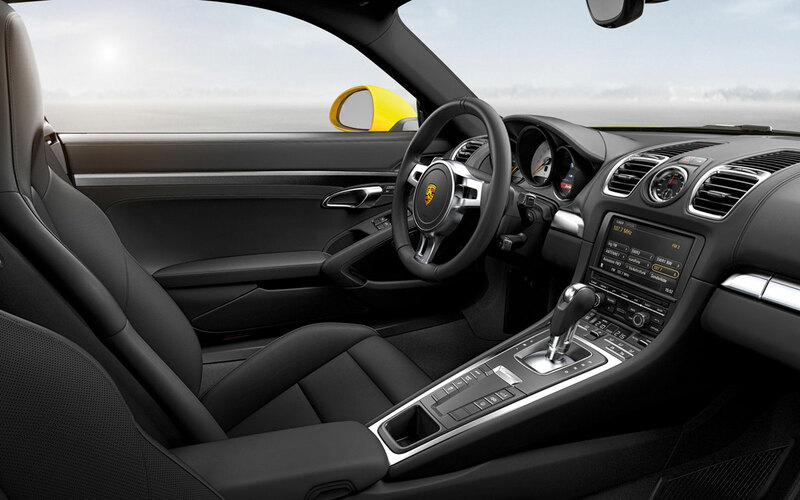 Although new Cayman continues family resemblance by sharing basic underpinnings, powertrains and sharper design of its cousin Boxster, the difference between them lies in a fact that this latest generation of Porsche‘s compact coupé is bigger, slimmer, lighter and faster than its predecessor. 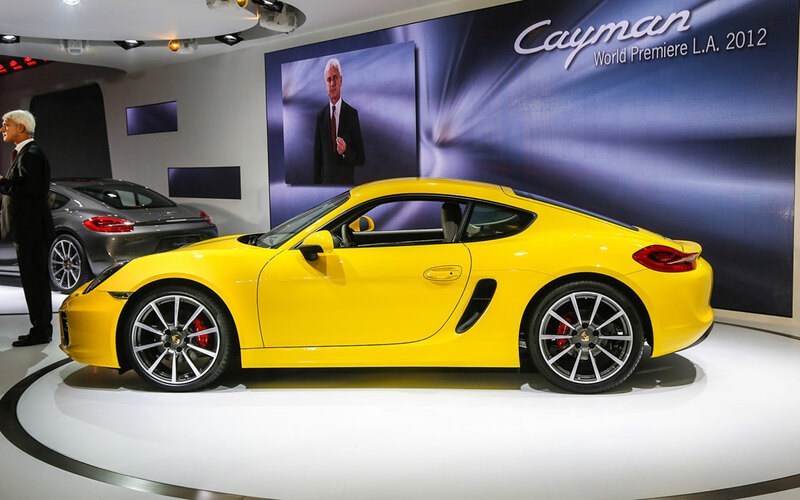 At 172 inch long, 70 inch wide, 50 inch tall and riding on a 97 inch wheelbase, the new Cayman is 1.29 inch longer and 0.35 inch lower than the old model and has grown 2.36 inch between the wheels. 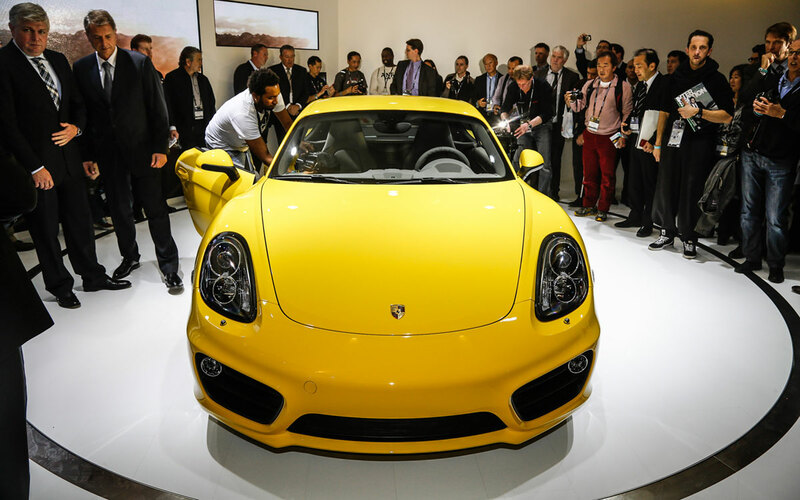 Despite its stretched stature, the new-generation Cayman is up to 66 pounds lighter than the model it replaces, depending on the specific model and equipment level, yet its body is said to be 40 percent stiffer. The car’s standard wheels have been upsized by one inch, so the Cayman wears 18-inch alloys and the Cayman S has 19-inch wheels. 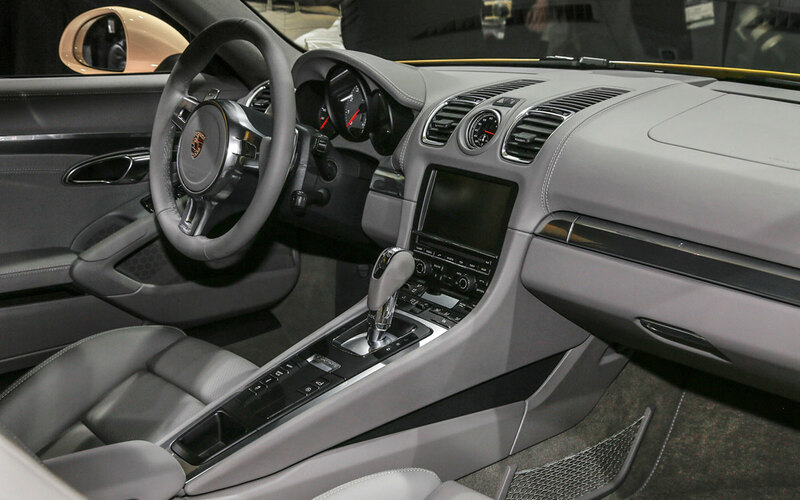 Like the Boxster and 911, the Cayman switches from hydraulic to fuel-saving electric power steering. 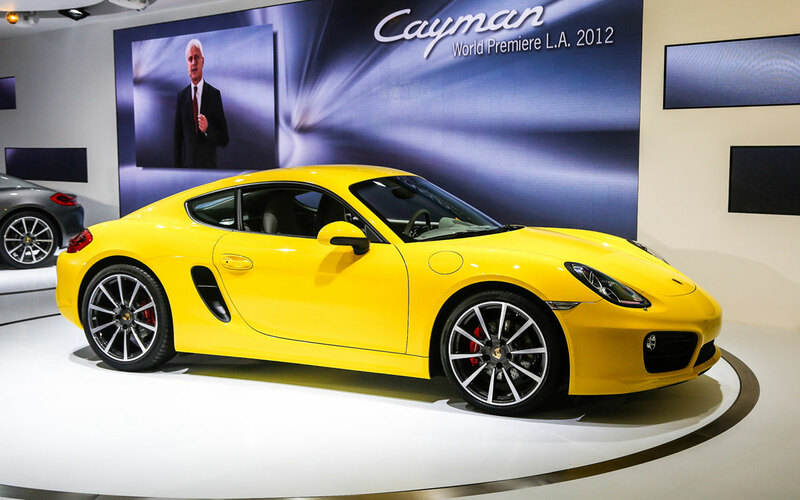 As we’ve experienced with the new Boxster, the changes should make the Cayman a more athletic track star. 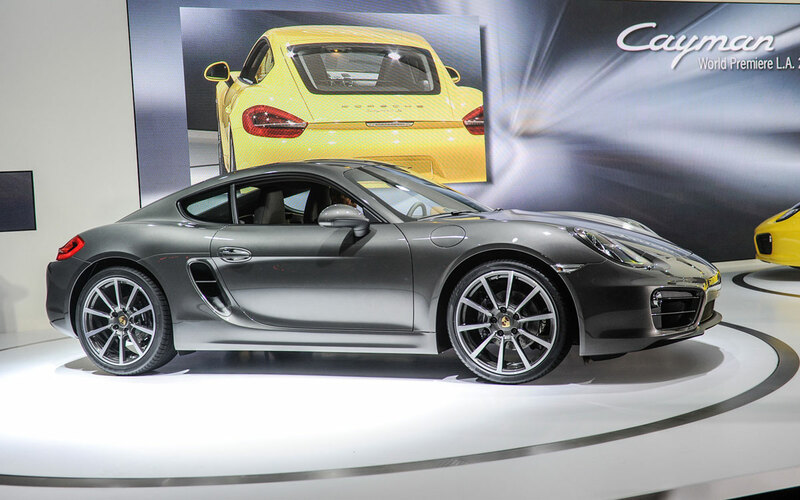 Powering the entry-level Porsche Cayman is a mildly uprated version of the new Boxster’s 2.7-litre flat six-cylinder. The engine generates 202kW and 290Nm – up 7kW over the old car’s 2.9-litre motor but down 10Nm. 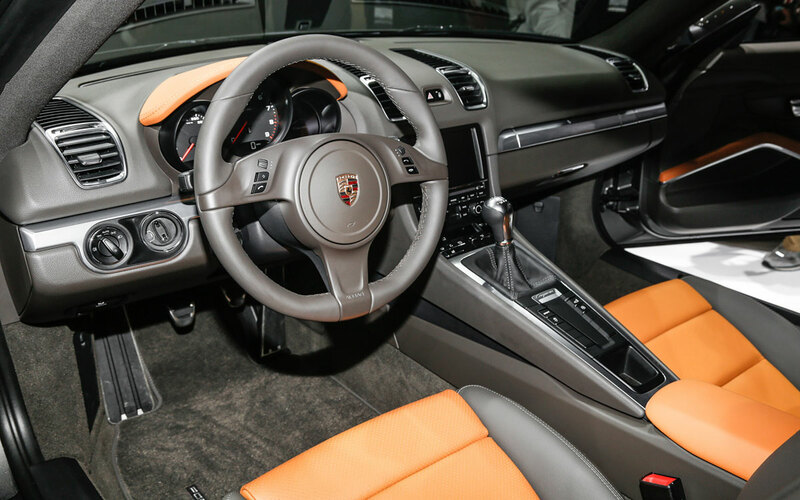 The result is a six-speed manual model that is one-tenth quicker from 0-100km/h (now 5.7 seconds) and a PDK version that’s three-tenths sharper, stopping the clock at 5.4 seconds. The new Cayman PDK is 15 per cent more fuel efficient than the old model, consuming 30.5 MPG (7.7 litres per 100km) on the combined cycle, while the manual is 13 per cent cleaner at 28.7 MPG (8.2L/100km). 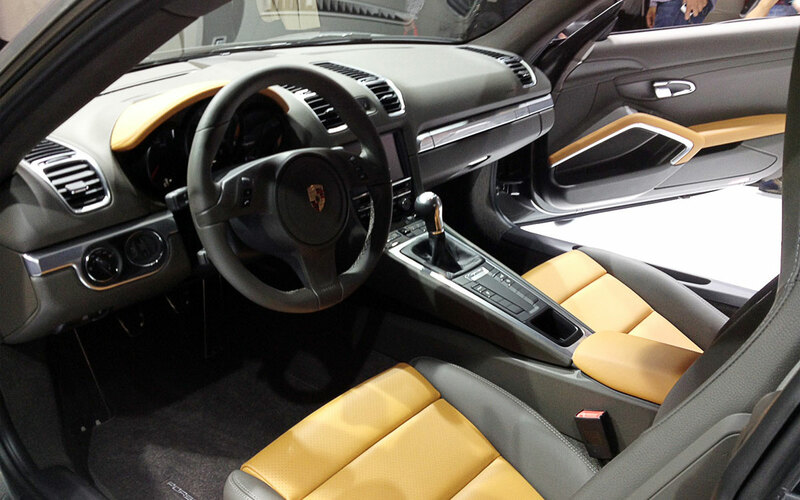 The new Cayman continues with cornering capability of its predecessor while also improving ride comfort. Buyers can opt for a new generation PASM active damping system linked to a button that allows the driver to choose between ‘Normal’ and ‘Sport’ suspension modes.